Astronomers have long argued that the phrase “we are stardust” is more than poetic language. Now new evidence adds another stanza to this great cosmic verse. 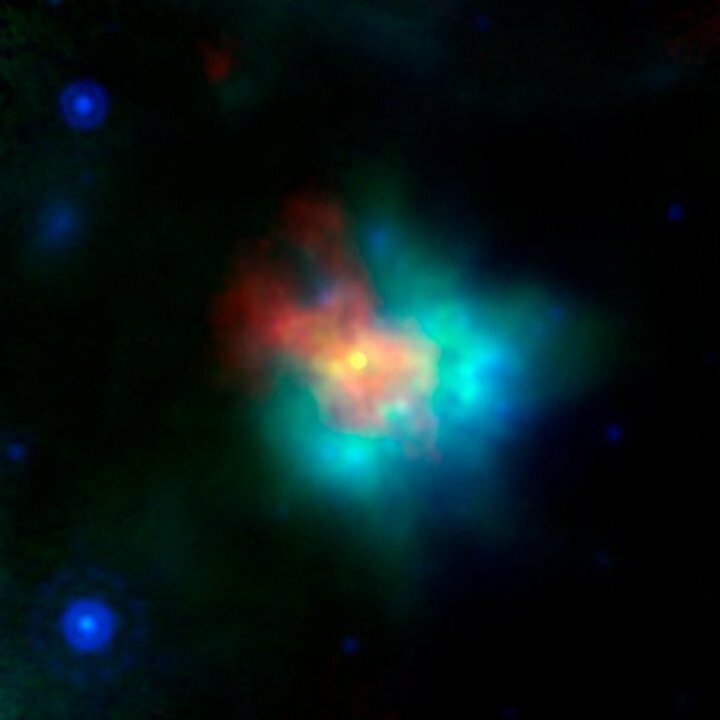 Dust from silica—a common component of Earth’s core, sandy beaches, concrete, glass and even cell phones—has been detected within the remnants of two supernovae in the Milky Way galaxy. These observations, described last October in Monthly Notices of the Royal Astronomical Society, provide the first evidence that silica originated within exploding stars. Astronomers have long pondered how cosmic dust—whether it is composed of, say, silica, carbon or iron—is created. Initially they thought it formed when sunlike stars reached old age and threw off mighty winds, whose gases were thought to condense into solid dust grains just as snowflakes form in a chilly atmosphere. But when observers detected dust in galaxies so distant that they must have formed soon after the big bang—well before sunlike stars could have evolved—they knew there must be another source. They started to suspect that dust appeared within supernovae explosions soon after the universe formed, but astronomers have only recently detected a handful of nearby supernovae remnants sprinkled with dust. And Mikako Matsuura, an astronomer who is also at Cardiff but was not involved in the study, says she is excited to see further evidence.